Very friendly and attentive welcome. Super clean and felt very home-y. It had everything you needed! This place is fantastic thanks to the love and all the attentions put by Davi and his family in every detail to make you feel at home. 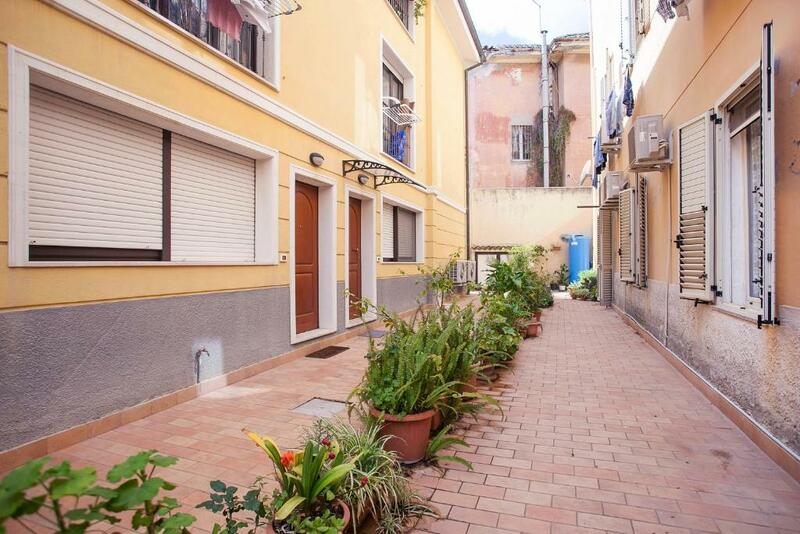 10mns walk only from the historical center, very quiet but still very close to a very convenient small supermarket with quality stuff 3 mns away. I highly recommend this place. Everything was great. Bed was really great for beautiful dreams. 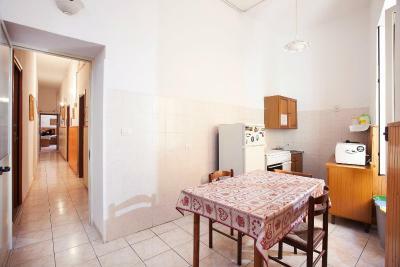 Small kitchen, supermarket under generals gardens. Like in the family at home (4 rooms, 2 bathrooms, small kitchen and "livingroom"). In the nearest of the old city. Thank you very much to Sig-ra Eleonora for her kindness and hospitality . I liked the possibilities to use the kitchen and to make your own teas and coffees . Bit of a trek to get there and from there. About a 1.5km walk to main places. The place was very quiet, it was possible to cook and leave things in the refrigerator. There are two toilets for four rooms, which means there were never a queue to the toilet/shower. There was many stuff in the kitchen (olive oil, salt, coffee, tea, etc.) 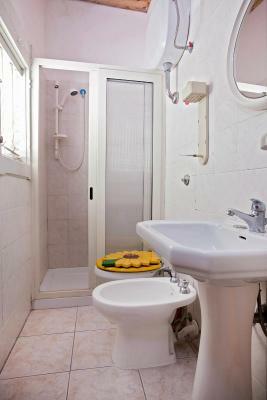 and in the toilet (shampoos, creams, shower gel, etc.) left by former visitors which anyone can use. Nice place to stay for couple days. Quite close to old town. There were very good restaurant and coffe place nearby. 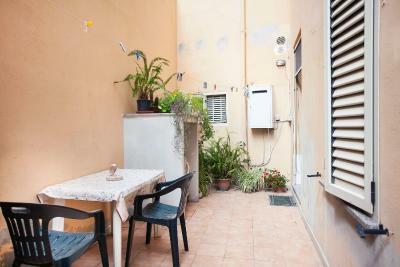 Is a cosy place, the kitchen and the bathroom are ok.
One of our best sellers in Cagliari! 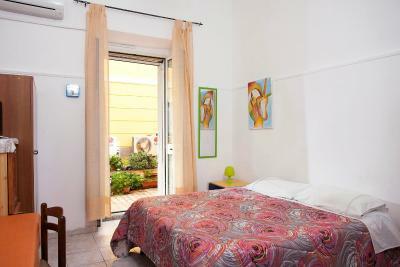 Located in Cagliari, Davi is a 10-minute drive to the famous beach, Poetto. 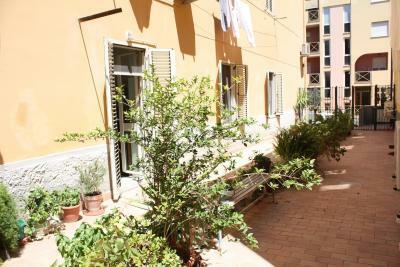 The property comes with a shared patio with outdoor furniture, surrounded by plants. 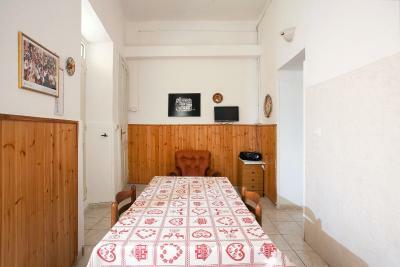 The spacious and bright rooms come with basic furniture and tiled floors. 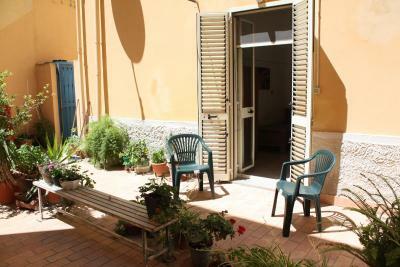 Guests are welcome to use a shared kitchen and BBQ facilities are also available. A bus stop, 350 feet away, takes you to Cagliari’s center. 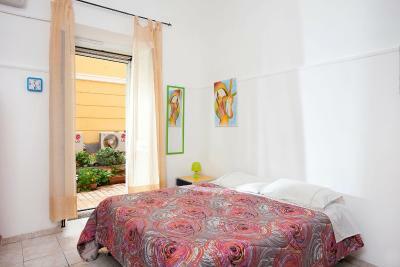 Cagliari Elmas Airport is a 10-minute drive away. When would you like to stay at Davi? 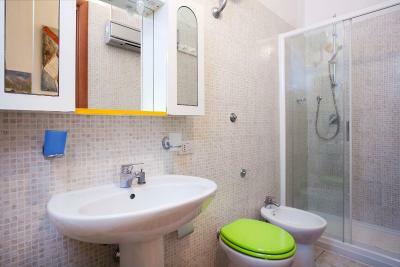 This room comes with tiled floors and a work desk. It shares a bathroom. House Rules Davi takes special requests – add in the next step! 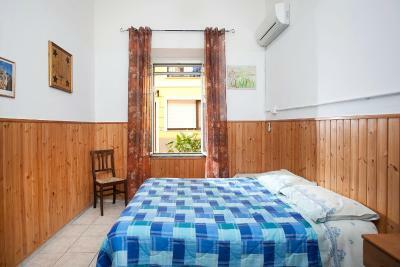 One child from 4 to 12 years is charged EUR 10 per person per night in an extra bed. 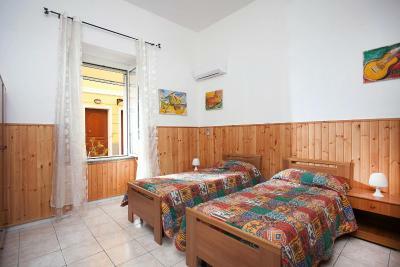 Excellent place, really comfy and with all the amenities you need. Plus, it’s really close and easy to access the city centre by bus or walking. Nice big room, outside area. The wifi wasn't great strength but that can't be helped much. For me personally the bed was too soft. Once there was no hot water for the shower but the problem was immediately solved. The place is a little bit far from the centre, although a bus is driving regularly (unfortunately only until midnight or so). It is 45min to the beach. The price was too high for such conditions. The room was dank, towels were stinky. A very nice lady which let us in didn't speak a word in English. Very dirty place. Dirty towels, bathroom, very far from centre of city. Expensive if you compare to other places. Bathroom totally unacceptable. For 40.00 euro we could get easy something nicely and more clean!!! Towels had colour of dark white? I think that also bed cover was not changed after previous clients. It is not B&B it is student house. Pretty bad localized, the internet was not working and who "showed me" the place was Davi's mom who doesn't speak a single word in English. The internet was not working and also no cell phone was available so basically I was isolated from the rest of the word. The double bed was actually two single beds and one of them was very very uncomfortable. 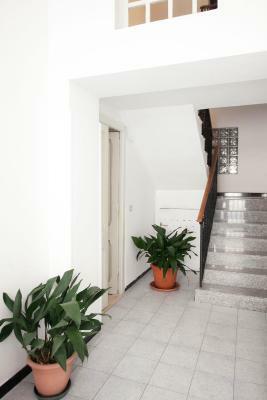 To get in the rooms area you have to pass through a very small door so take care what you're taking with you inside. And a important thing if his mom want to make you a receipt: don't give your passport to her! She want to go upstairs with this out of my eyes range, I highly suggest to never lose your passport from your eyes.